My advice to Herman Cain is to admit to whatever you did, apologize for it, and then move on. 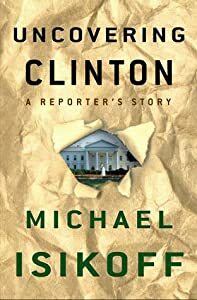 I am reading Uncovering Clinton by Michael Isikoff and Bill Clinton’s biggest mistake of his presidency was probably refusing to issue an apology to Paula Jones. Of course, he continued his dalliances with others including Monica Lewinsky, because he could not stop or would not stop. The mistake that colored his entire presidency though was his brief attempt to gratify himself with Paula Jones and then his refusal to admit the mistake. We Americans are a forgiving people. Admit your mistakes and apologize. We’ll forgive and maybe forget.